Owning a dog is a wonderful experience. Treats, toys and other supplies can get expensive fast. 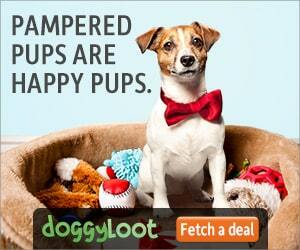 Doggy Loot is a flash sale site that features huge discounts on dog supplies, plus FREE shipping on your orders. Sign-up is free as is the account. Check it out!